My Strat Jr. Made in Mexico in 2006. "Black Beauty", even has the Fender 60th anniversary medallion on the back of the headstock. There are some VERY perty guitars in this thread! This is probably the coolest jag with buckers I've ever seen. I love the symmetry of the two PAFs with the WRHB in the middle. Man I need to stay away from this forum, too many things I like here haha! MIJ Fender "smart size" Stratocaster. (22" scale). Fender Japan also makes a corresponding short scale Jazz bass that looks pretty sweet. stock squier jaguar SS bass. plan is to pull out the P-Bass pup and replace with either the WRHB ala the pawnshop mustang, or a gibson mudbucker, whatever i happen upon first in my travels. In hopes of keeping this one, i've already stickered it up.. I suspect i'll get around to AN demo eventually, but don't hold yr breath.. i don't even have a bass cab at my apartment right now.. so i've just been jamming unplugged or playing some "rocksmith"
Very nice! How would you describe the squier in comparison to the fenders? Not really a fair comparison. 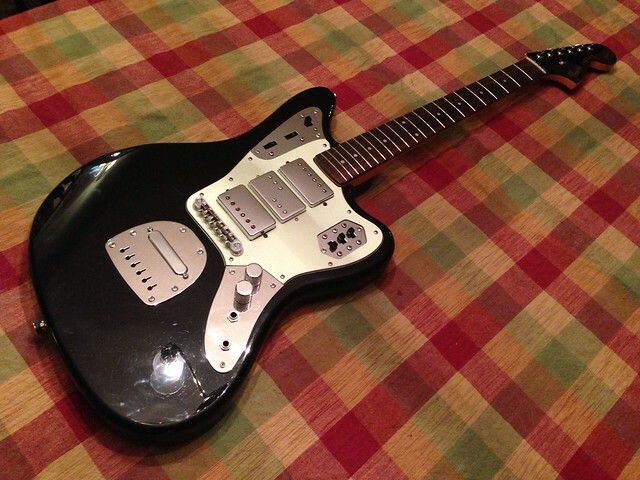 The KC Mustang has a humbucker and TOM-style bridge. 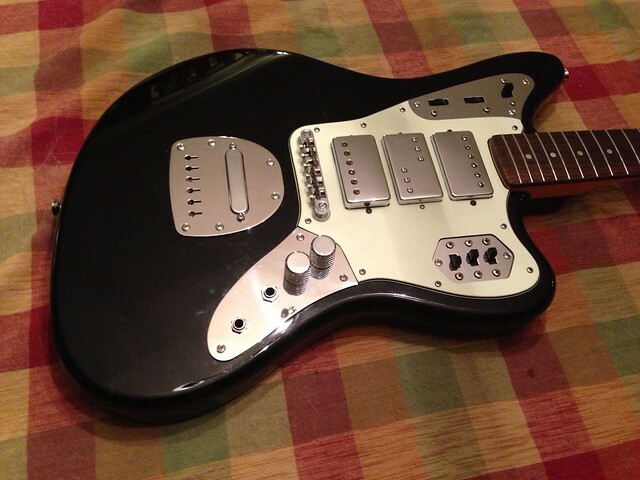 The Mustang Special has widerange humbuckers and a smaller body. 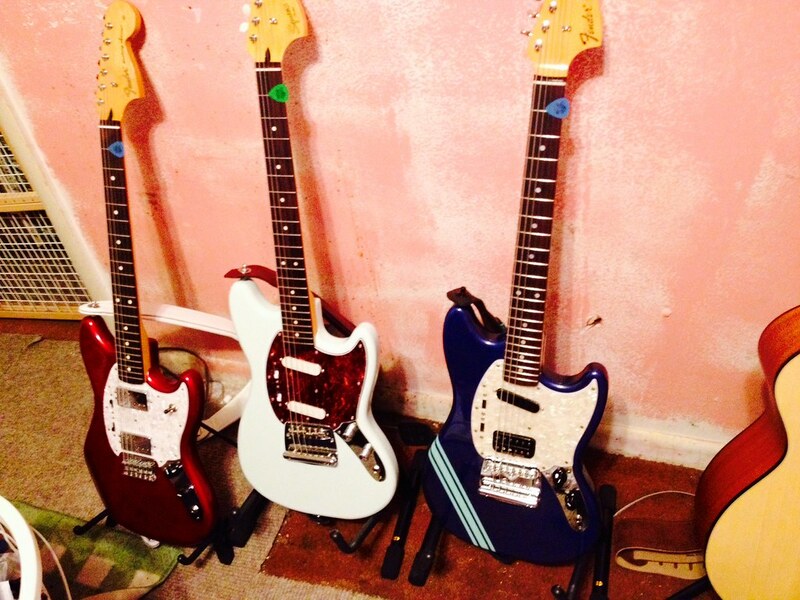 The Squier should be compared to standard MIJ/CIJ Mustangs. That said, the Squiers are generally pretty good for the money. I've still no idea what 'new breeds' are supposed to be. From the pics, I am guessing personally modified short scales. 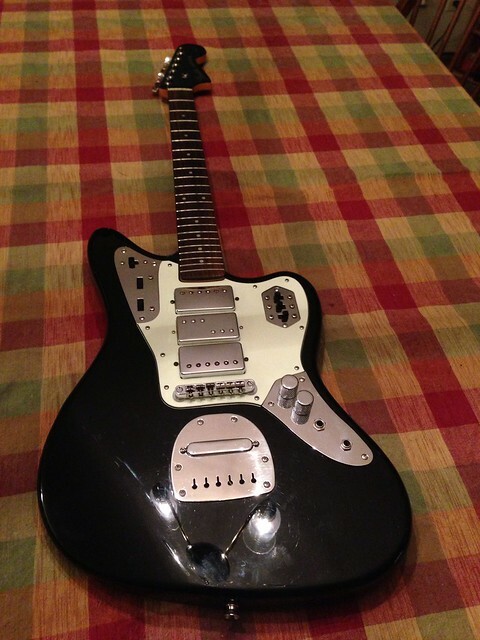 The closest I come to that is a Jag-Stang with a Dimarzio in the bridge, (and is about to get a pot swap to 500ks) and a Squier Jag that I am building. I only have the body and neck right now but lots of parts on the way. New breeds are short scale guitars that were not built in the "vintage era." So Musicmasters, Duo-Sonics, Broncos, Mustangs, and Jaguars would be the original Fender short scales. Jag-Stangs, Jagmasters, Super-Sonics, and the various hardtail Jaguars and Mustangs released over the years would be "new breeds." I suppose Cyclones, Toronados, and various custom built guitars count as new breeds as well... although the 24.75" Gibson scale on Cyclones and Toronados should be noted for the record. Thanks for the clarification. In that case, I guess is my Jag-Stang that fits the bill. ^ Jag-Stang is definitely new breed. You'll find that tons of people on this site own or have owned Jag-Stangs (including me).